Sometimes an idea is just so elementally brilliant that you have to step back and wonder why things haven’t been done this way all along. The creative duo of designer Sayalee Kaluskar and copywriter Ramiro Ramirez came up with just such an idea: solar panel-equipped sunglasses called Shama Shades. We wear sunglasses to protect our eyes from the sun, so they are naturally exposed to plenty of sunlight. Kaluskar and Ramirez, knowing that Ray-Ban wanted people to get more out of their sunglasses, came up with this intuitive but brilliant idea. 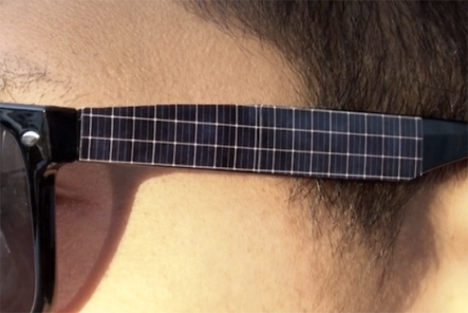 The sides of the sunglasses are equipped with solar panels which collect sun power all day. 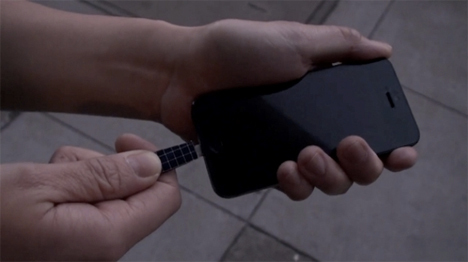 At night, you can take the sides off of the glasses and plug them directly into your iPhone 5 to charge it up for your busy evening of texting and Googling and whatever it is you kids do with your phones these days.